The official website of Black Shark announced on May 17 that a special version of the Black Shark gaming smartphone will be getting introduced on May 22 bearing better hardware specifications than the base version. Well, it is definitely powerful than the Razer Phone so perhaps the only other device that will be able to provide customers with a gaming-centric phone is the unnamed ASUS ROG smartphone. 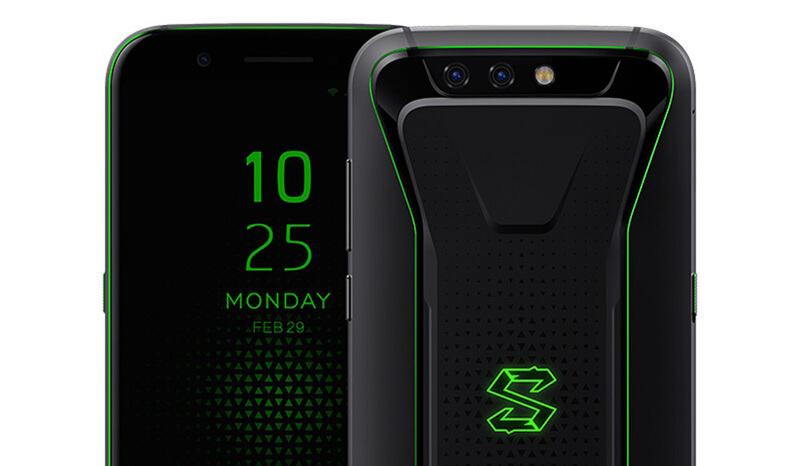 According to the details, the Black Shark gaming smartphone is fueled by the Qualcomm Snapdragon 845 SoC and is accompanied by with 8GB of LPDDR4X memory and 256GB of UFS 2.1 flash memory. The phone also comes equipped with a dual-camera with a 12MP + 20MP configuration and aperture of F/1.75. The front camera is 20MP with an aperture of F/2.2. Just like the base model, you get the same 4,000mAh battery, which is the same capacity as the Razer Phone. The gaming smartphone is also accompanied with some additional features, and for instance, it has a physical game key, called the Shark key, which launches games with a single click and provides an immersive gaming experience. Special game handles have also been designed for mobile games to enhance the experience and this controller is compatible with other phones as well. The handle is also lightweight and compact, easy to connect, and easy to control. Since most people will enjoy playing first-person shooters, you can aim and shoot with it at the same time while playing games. One common problem that users experience while playing mobile games on regular devices is that the phone heats up, forcing the processor to thermally throttle. To remedy this, the Black Shark gaming smartphone is integrated with a multi-stage direct-touch one-piece liquid cooling system which prevents the phone from heating up and keeps the core components of the handset cool. This enables the processor to maintain its highest clock frequency, resulting in the best possible performance. Now you will obviously want to know about the price tag. The best possible version of the phone is going to be sold for RMB 3,999 or $627 USD, making it much cheaper than the Razer Phone while also packing it with some mean specifications. Do you think the price is justified? Tell us down in the comments.